This week we launch Pulse Rate, where we look at online cardiographs and measure the EKG of the Japanese internet via the keywords ranking high in the search-engine charts and elsewhere. Will they be only brief blips or signs of bigger things to come? Only time will tell. The term was originally coined by “business novelist” Satoshi Azuchi, whose most well-known novel is “Supermarket,” a somewhat autobiographical story of managerial intrigue at a supermarket. Economic commentator Makoto Sataka took Azuchi’s term and popularized it in his columns for Japanese weekly Shuukan Kinyoubi. The shachiku site was an instant hit after its launch in June 2009 and widely covered in the Japanese blogosphere. After answering the questions, users are given a graph that maps their drone-ness. 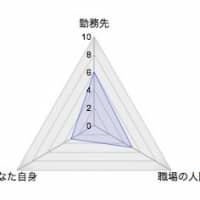 I ended up with 42% drone-ness, which indicates that I am “in danger of becoming corporate cattle very shortly (そろそろ社畜化しそうです).” The site then offers links to books such as “Kotowaru Chikara” (断る力,” “The Power to Refuse”) and other self-help guides for those unable to change the inertia of their miserable situation. As the Japanese financial year approaches its end and recruiting starts anew, Japanese engaging in job-hunting activities (就職活動, shuushokukatsudou) are increasingly relying on the Internet to spread the word about burakku kigyou (ブラック企業) – “blacklisted companies” that treat employees poorly. Sites such as ブラック企業NAVI have been creating lists of the guilty companies, and 2ch forum users have been posting information as well. On Feb. 20, the Nikkei Shimbun reported that information on some of the sites has been disputed and companies have even made claims of libel. 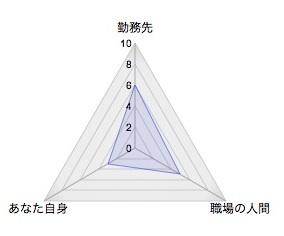 Job hunters searching for information on blacklisted companies might have boosted hits to ブラック企業.COM, a quiz where users can measure the corruptness of their companies. The quiz is run by the same people as 社畜.COM. On Monday’s Goo Keyword Rankings 社畜.COM had been displaced by “curling” (thanks to the women’s Olympic team currently competing in Vancouver) and the enchanting Nanami Sakuraba (who debuted in a new commercial for Suntory ), but it was still in the top five keywords. Clearly, job hunters and company drones, stereotypically known for their ability to put up with harsh working conditions for extended periods of time, are starting to ask “Where’s the beef?,” hoping that the answer isn’t themselves.